Recently I was part of a short clip for a travel and leisure program. During our whisky sampling, the topic of whisky strength was raised. Now, for a Scotch whisky to be considered a whisky, it requires a minimum alcohol strength of 40%. Today when you look at whisky bottles, you will see a range of strengths from the 40% minimum, to many at 43%, to quite a few at 46% and then varying strengths leading up to powerful ones even higher than 60%! I will admit to a personal preference for cask strength whiskies as it enables me to calibrate through trial and error to discover as the optimal balance between alcohol and water for my palate. However there is something to be said for the ‘experts’ making this call. Hence I quite appreciate when distilleries up their strength beyond 43% to find the ‘optimal’ level for that particular expression. It is no surprise then that many independent bottlers start at 46% and many distillers too are opting to bottling at 46%… Think Arran’s 12 year, Kilchoman’s Machir Bay and Glendronach’s 15 year. 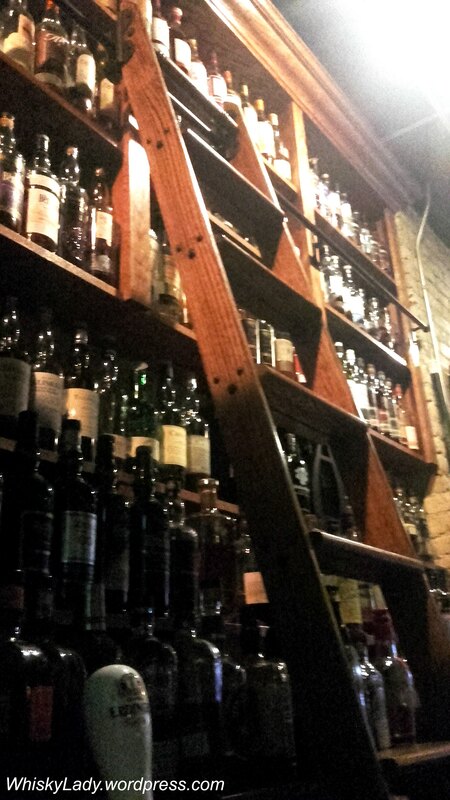 So… what was the whisky recommended at Toad in the Hole pub’s Whisky Bar? 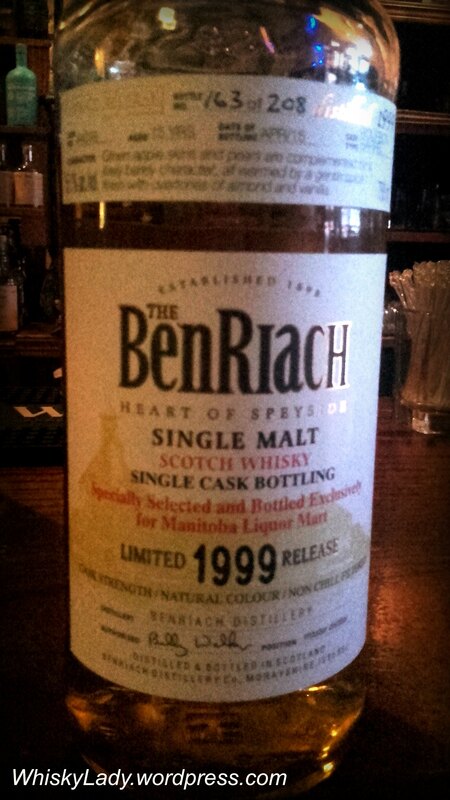 A limited release BenRiach sold only in Manitoba at our provincial liquor mart. Yup… you read that correctly. The independent whisky makers over at the BenRiach distillery decided Manitobans deserved their very own cask #44016. The only problem? It was gone too quickly! Green apple skins and pears complemented by a lively barley character, all warmed by a gentle spice finish with overtones of almond and vanilla. EXCLUSIVE to Manitoba Liquor Mart! This specially selected product has been resting in a first-fill Bourbon cask in the famed Scottish Speyside region from 1999 until its bottling in April, 2015. On the nose a sweet floral oak note explodes to heather-honey, lemon, apples and poached pears, all of which is surrounded by the richness of dark vanilla pod, toasted coconut and notes of crème brûlée. On the palate, green apple skins and pears are complemented by a lively barley character, all warmed by a gentle spice finish with overtones of almond and vanilla. As for me? Very happy to have the privilege of sampling this dram! Next in our Scottish regions tour was a whisky from Speyside… a region that takes its name from the river Spey. While technically also in the Highland region, with a cluster of over 100 distilleries, it is now considered an official region. In terms of single malts, over 60% of Scotland’s single malt production comes from the Speyside region. Some better known distilleries include Aberlour, Balvenie, Cardhu, Cragganmore, Dalwhinnie, Glenfarclas, Glenglassaugh, Glenfiddich, Speyburn, The Macallan, The Glenlivet, and The Glenrothes. 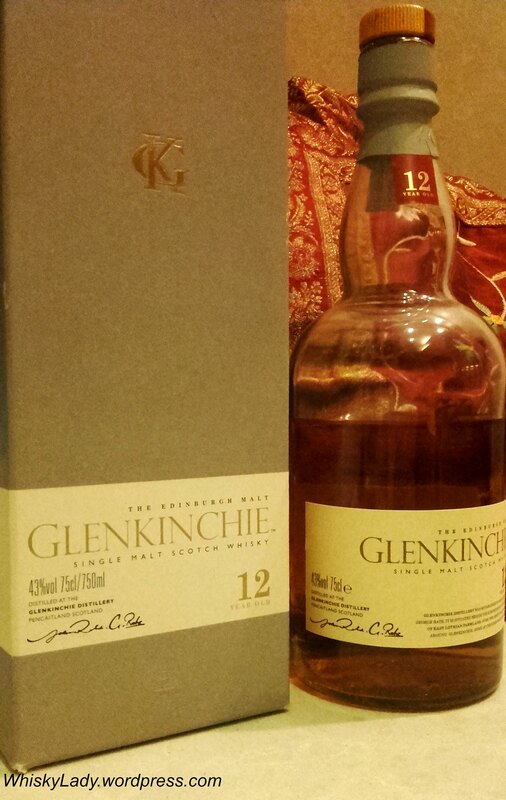 Classic Speyside whiskies tend to be lighter, honeyed and easy to drink – think Glenlivet, Glenfiddich. Yet equally, there is another side to Speyside whiskies that favour maturing in Sherry casks, producing robust rich berry bombs – think Aberlour, The Glenrothes, The Macallan. Palate – Sweet, slightly sour, maybe some maraschino cherry, hint of chocolate but frankly, flat… a kind of watery unsatisfying whisky, lacking in oomph and depth. In short, it just wasn’t what most Cardhu fans remembered. We began to admit we were practically forcing ourselves to find different elements and once one voiced a concern it was simply ‘flat’ others – including the owner of the bottle – were relieved they were not alone in being disappointed. Dawning realization that as we had opted for an open bottle, we were witnessing the way oxidation had taken its toll. It simply wasn’t working for us. 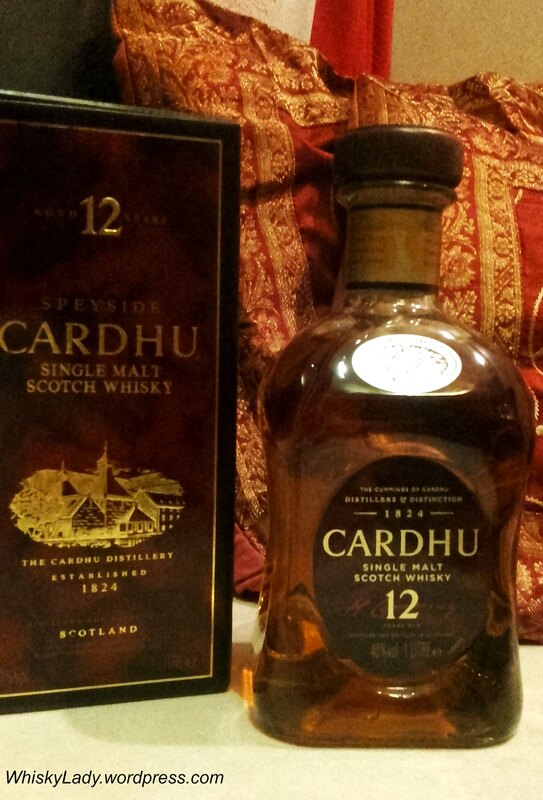 Now… we just so happened to have an unopened bottle of Cardhu 12 year with us. I mean doesn’t everyone have a spare whisky bottle rattling around? Ah heck! The new bottle was cracked open and two glasses made their rounds of the room – the previously opened Cardhu vs the newly opened Cardhu. In the newly opened bottle we found a robust whisky, some slightly salty briney woodsy elements completely absent in the previously opened one. It was far more intense on the nose, much more fulsome with sweet spices, nutty with fruits. On the palate the instant reaction was “Yum!” – a jolt of deliciousness that then mellowed into sweet citrus rinds with cinnamon. As we continued to compare the two, there was a sense of pity for the poor previously opened Cardhu bottle. It simply did not pass the ‘test’ and had gone from perky to floppy with no way to revive its limpness. The only consolation was the nose wasn’t completely gone and if someone doesn’t mind a mild sweet innocuous dram, it would still suffice. If you didn’t know what a ‘real’ Cardhu tastes like! Nose – At full strength, heady, nose prickle, pear drops and tightly integrated heather, resin and sweet honey-nut notes. Enticing. Intriguing. With a little water, still harmonious but less pronounced, allowing some malt cereal, soft, spicy wood, moorland and faint traces of wood-smoke to appear. 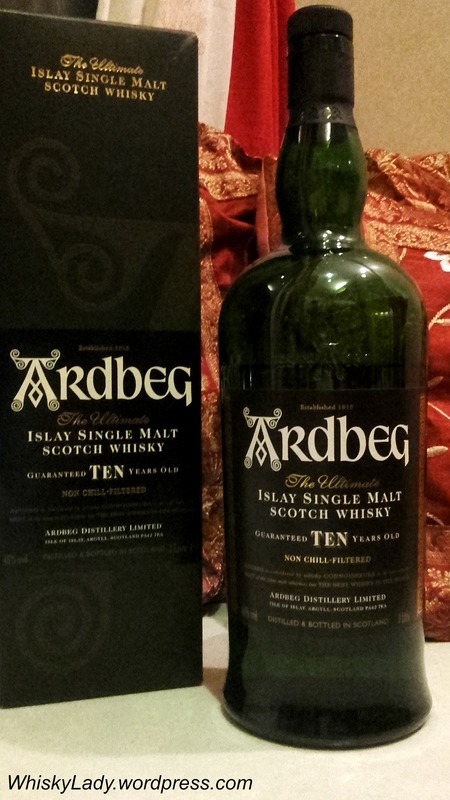 Palate – Soft, pleasing and medium bodied. Well balanced, smooth mouthfeel; short punch, sweet and fresh, then a pronounced drying effect. Moorish. Enjoyable at any time, with little or no water. Finish – Quite short. Some lingering sweet smoke in the attractive, drying aftertaste. Overall – Attractive, subtle complexity; elegant and worth knowing. Spirity nose with sweet apple blossom and heathery aromas, well balanced palate with good viscosity, warming with a drying finish. Overall we concluded the previously opened bottle was simply NOT the same calibre of whisky and had just lost too much… prompting horrified thoughts of other precious open bottles. Morale of the story? Enjoy your dram while you can! And plans for an upcoming “Dram Dregs” session was born to help ‘rescue’ opened bottles before they slip too far past their prime! The Highlands is the largest Scottish region, with a wide range of styles and a brilliant array of distilleries. In the East, there is Glendronach, Glenglassaugh, Glen Garioch and Ardmore. Whereas in the West, there is Oban and Ben Nevis. Smack in the Centre is Aberfeldy and Dalwhinnie. Go South to find Glengoyne, Loch Lomond, Deanston and Tullibardine. Whereas in the North, there is Glenmorangie, Dalmore and Clynelish. Clynelish is considered a ‘coastal‘ whisky and, like many distilleries, has a past… tracing links to the old Brora distillery nearby that was initially closed, then re-opened in 1969 to 1973 to pump out peaty whiskies to cover a shortfall of Islay whiskies due to a drought, further exacerbated by the lack of whisky from Caol Ila while its distillery was being rebuilt. By 1983, production of a peated spirit was halted. Meanwhile, just adjacent, the new Clynelish distillery had identical stills to its neighbour Brora yet focused on the lighter Clynelish style we know today, predominantly for blending. Why intertwine the two? Practically the same location, same owner, same source for blends, both kept largely out of the single malt universe. 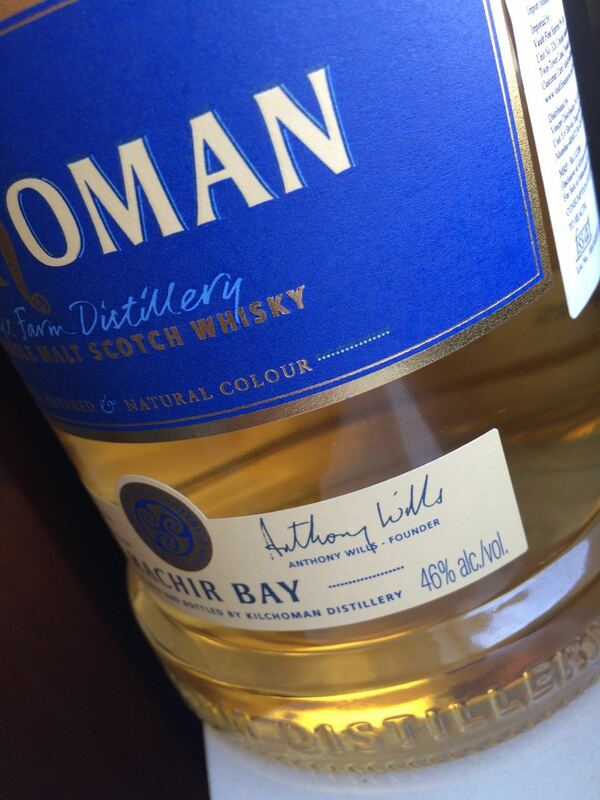 Then in 2003, Diageo launched its classic malts selection and the Clynelish wild cat became available to the world. For some, they much preferred the nose to the palate. For others it was the reverse. And some were particularly happy to finally have a satisfying finish. 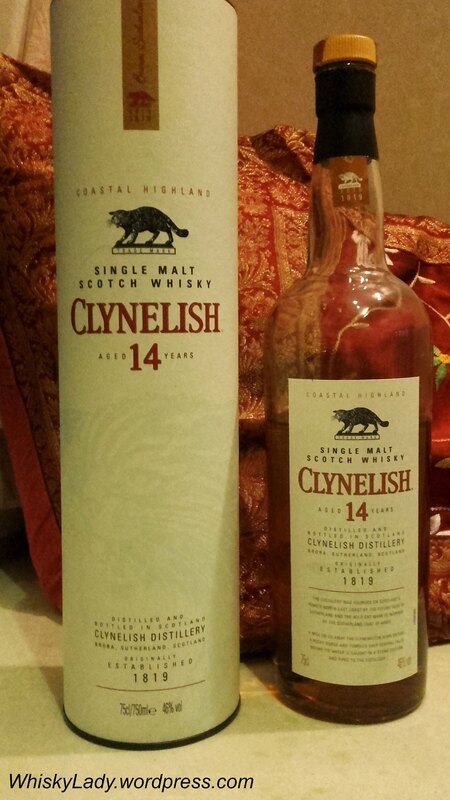 Overall many were pleasantly surprised to find how much they enjoyed the Clynelish which had more substance than initially expected. Still very much in the lighter vein it isn’t a complete lightweight to be immediately dismissed. Nose – The nose starts with light candle wax, with some sugar and a faint floral fragrance. Adding a little water brings this into focus, the candle wax is now richly scented as if , when strolling near the beach, you have come across sun-dried flowers among the sand dunes. Palate/Finish – On the spicy palate there’s a signature oily mustard-cress crispness, which is underscored by some maritime saltiness in the satisfying drying finish. After the Glenkinchie Lowland whisky, we next planned to explore a whisky from the Highlands… However Bombay traffic being what it is, our Clynelish had a delayed arrival so we logically moved on to a Highland sub-region – the Islands. To describe Island whiskies as diverse is a bit of an understatement. Just think – there are some 800 islands scattered around Scotland of which six produce whiskies. The islands of Arran, Mull (Tobermory/Ledaig), Jura, Skye (Talisker), Lewis (Abhain Dearg) and Orkney (Scapa and Highland Park) are home to an equally diverse range of styles. 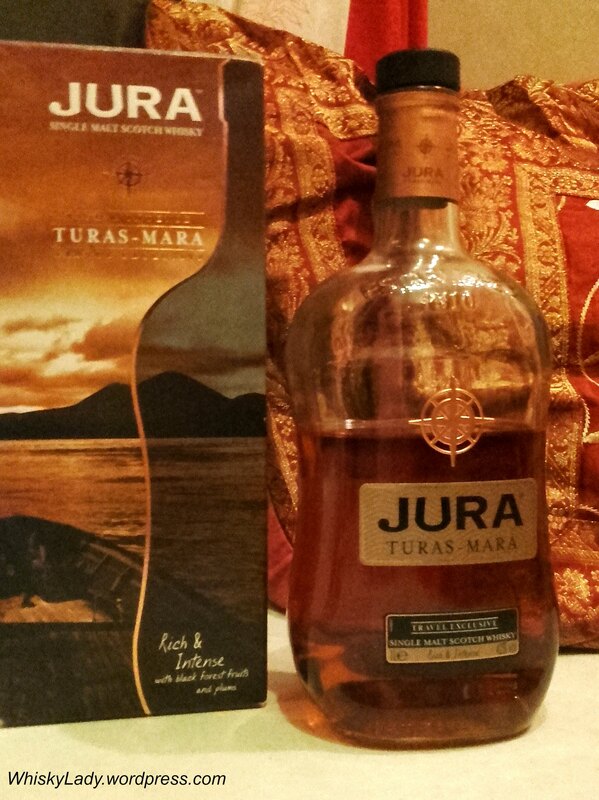 The Island pick of the night was the Isle of Jura‘s ‘Turas Mara‘ which means ‘Long Journey’ and was launched for travel retail. 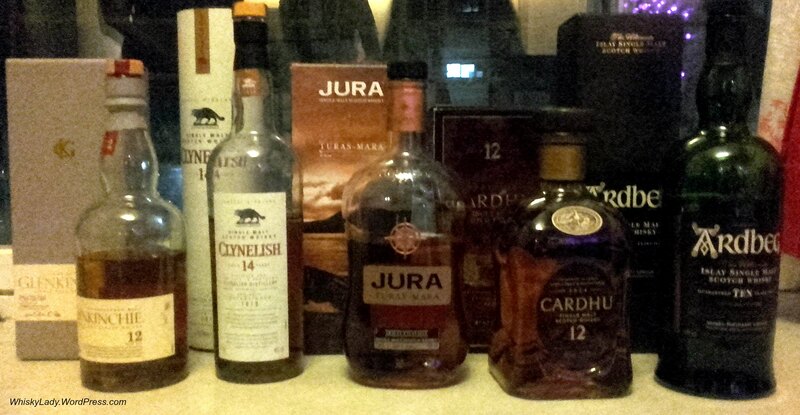 One by one, those who’d not been terribly impressed by other Jura offerings, confessed they rather liked the Turas-Mara. There was a silky richness and deceptive depth. When we learned the malt is a mix of Jura whisky matured in Bourbon barrels, Bordeaux wine, Ruby port and Amorrosso sherry casks, we understood why it is a departure from the standard Jura style. And we approve! First up in our Scottish regions tour was a whisky from the Lowlands… a region that is the backbone of blends producing primarily grain whisky. In terms of single malts, there are now only a few active distilleries in the region with Auchentoshan probably the most recognized, Alisa Bay the newest entrant and Glenkinchie, our feature whisky for the evening, part of the Diageo stable. Three new distilleries are joining the Lowland ranks – Daftmill, Eden Mill, and Kingsbarns. Nose – Aromatic and floral notes.